Middlesex -- So much better than I had imagined - "So it goes." Edit: I've been thinking about this since, and I've come to the conclusion this book couldn't be written today (in 2018) while it seemed daring and real just a few years ago. There's more to that conversation, but I'm still judging this based on the time in which it was written. And I'm still very glad it was written and I got to read it. I was rather shocked at how good this is. I couldn't wrap my head about the blurbs. The idea of a book about an intersexual person sounded like it would be a political or medical diatribe, or possibly a whiny "poor me" tale falsely disguised as fiction. I realized Jeffrey Eugenides was not writing his personal story, but I did have the idea that this was still somehow a disguised bit of biography -- perhaps it is. If I was a real book reviewer, I'd have to look that up, but I'm not. No matter its origins, it doesn't read like any of these usually disguised things, and it's really very good. Funny as could be, almost every line is quotable. This is more of an historical novel than just one person's story. It's a family story that is more vital to the man telling it than most. Cal née Calliope Stephanides is proof of a family secret in his very being. It will take a trip across the ocean at the end of the Greco-Turkish War and the accidents of love in the close-knit Detroit community for the secret to reveal itself through three generations of Stephanides. Even then Calliope is a child and hasn't been educated to the multitudinous ways genetics and gender (nevermind sexuality) can play out. So this is a very original coming-of-age story, a medical history, the story of forbidden love and much more in just over 500 pages of stunning prose. 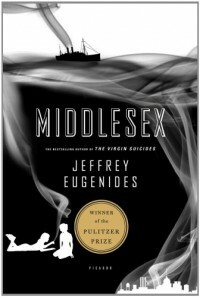 Marvelously detailed, interesting and well-researched, with decent and realistic portrayals of all genders, from the roaring twenties through the twenty-first century, love and marriage, Detroit, and America/Americans broadly, Eugenides is a smart writer with a warm, welcoming voice. The word most likely to describe it would be "charming." While occasionally I got sniffy about some of the ease with which Cal seemed to make his decisions, it would have turned into a fake memoir if we went through every painstaking detail. He seemed a bit naive at times, then Eugenides would have him say something about his upbringing or family to remind me that he, in fact, was naive. Kids were much more naive in pre-internet days, or if not naive, often just plain confused or wrong. Cal is clearly not the type who would pour out his feelings anyway. When I know a character well enough to know why she does or doesn't do things, it's usually a good sign the writer has gotten his story and his characters under my skin. I can see why Oprah picked Middlesex for her book club years ago. The voices are all supremely individual and Cal is a charming narrator, but Cal - while being the main character - is almost incidental to the overall story in some ways. I wish I'd read this with a group, because the discussion could go on forever. This is one of those books I knew I "should" read, and I didn't really have much interest. It didn't sound appealing, but I passed it on a shelf at the library last week and obviously picked it up. A different copy will find itself in my home soon, because I will certainly want to read it again and urge others to do the same. 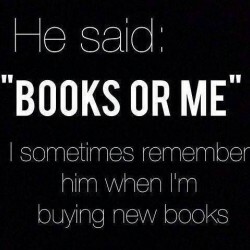 So, hey you - if you've not read it, take the leap. It's so much better than it sounds.